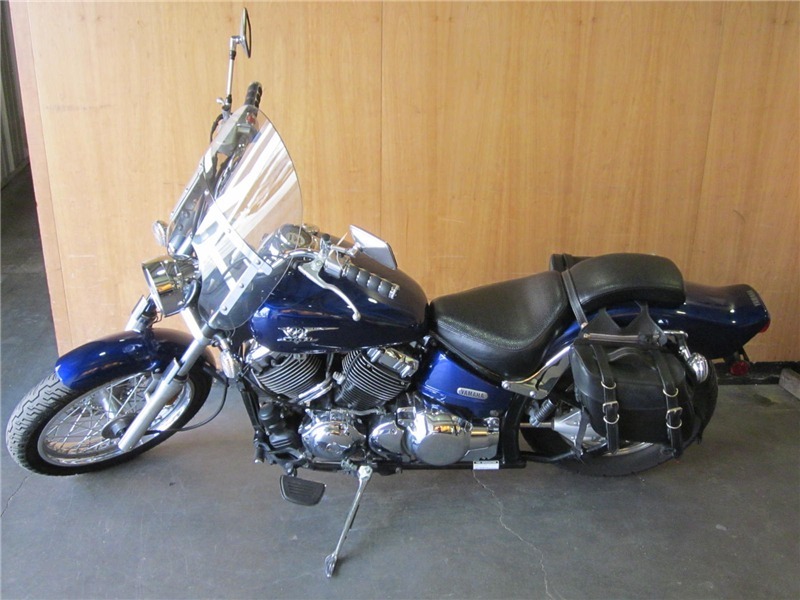 2013 ultra classic cvo anniversary 110 load with all the options = heated seat & hand grips, Chrome rims forks and ect. Big 110 c.i. motor, GPS, am fm radio cb, head set is new Blue tooth, gen. 5 ipod hook up in trunk, cirrus radio.. harley's best performance tuner with cables for bike and laptop you can't even buy or get any more, Because harley was suide for it by the EPA. for 15 million. New seat idenical to harley's but thicker and better. This bike is #0022 / 1100. very low numbered bike Harley Davidson and the workers own about 15 of them. Many extras title in hand, clean not in rush to sale have few xtra items as ramps that will leave with vehicle if sold at rite price. 10,000 miles, Very Clean and lots of extras. Has always been garaged. 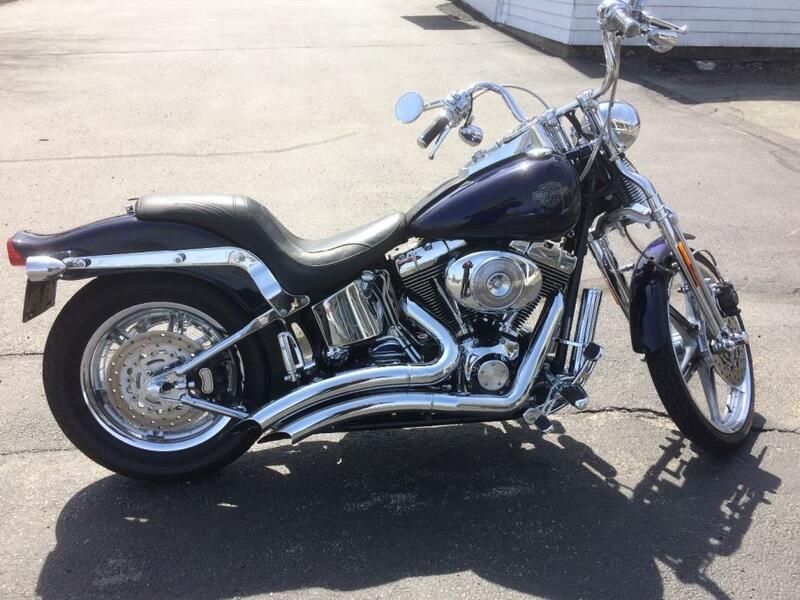 Great bike, one owner, fatboy windshield, saddle bags (not shown on bike), front bag. Upgraded footpegs,mirrors and sissy bar to match. No time to ride. 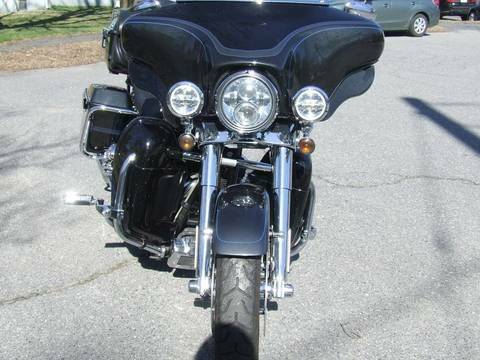 Motorcyle has 4700miles on with a windshield, locking hard saddle bags, running boards. Well maintained, no time to ride. Low miles, and runs great! Ready to ride. Carburator cleaned and new battery last year. Will include helmet, cover and tank bag. This is my wifes bike, it was bought new. It has the Harley windshield, Harley Daymaker LED Headlight, Harley Luggage Rack with a bag, Harley Extended Mirrors, Vance & Hines Exhaust, Battery Tender Cord, Kuryakyn Lizard Lights so you will be seen better at night, The Lizard Lights are 6 color changeable, The bike has been dealer maintained since buying it and garaged during riding season and stored in the garage under a cover and on a stand during the winter. There are 1339 miles on it. This bike is water and fan cooled. Great bike, was my first one ever. 1700cc with Vance and Hines Long Shots Slashcut pipes. 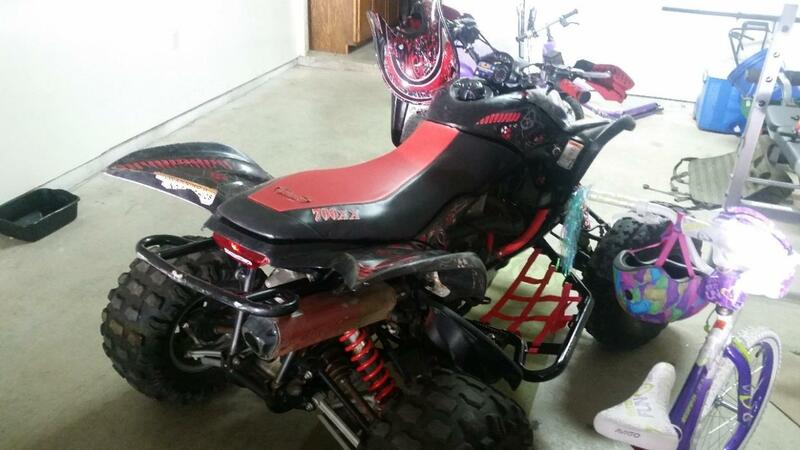 Comes with tires and Baron Big Air Kit. Has a stage one dynojet setup. Carb needs some tuning and the Big Air Kit comes with a rejet kit as well. 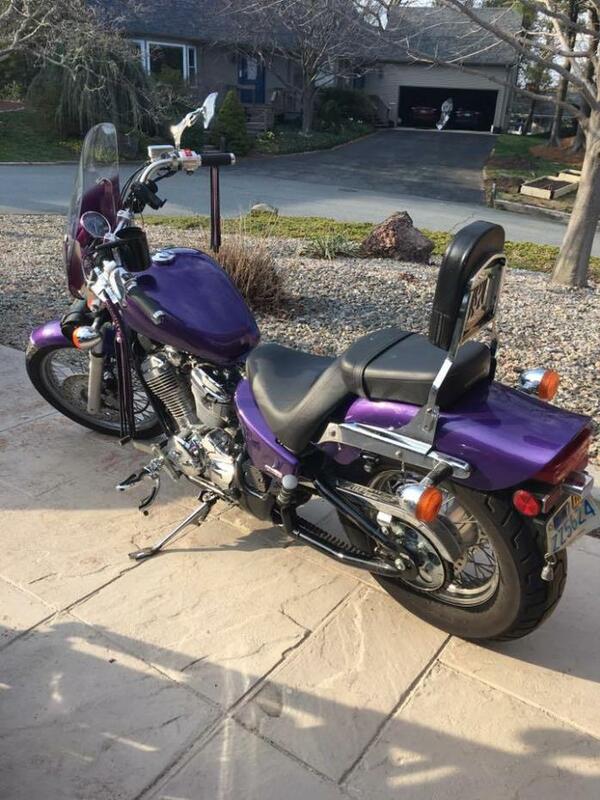 Selling my fantastic first bike. 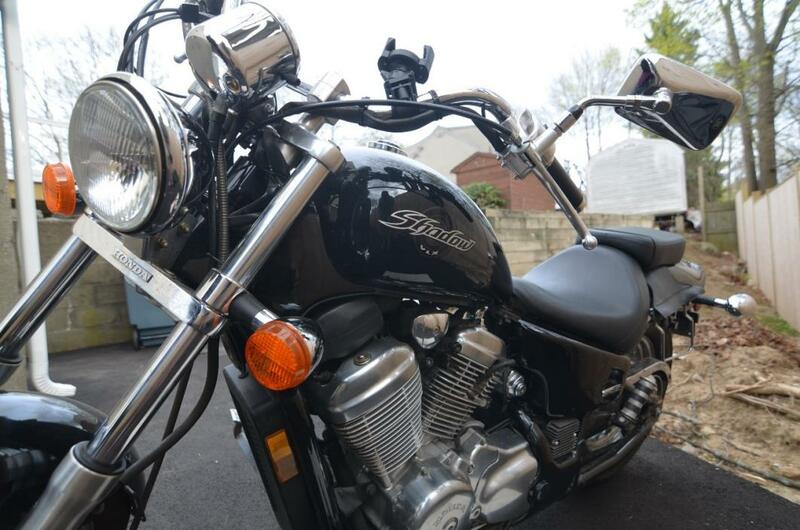 This Honda Shadow VLX 600 has 6,671 miles on it. It has never been dropped (by me nor anyone else). It's been the perfect first bike for me. I've got the paperwork for it for its entire history. 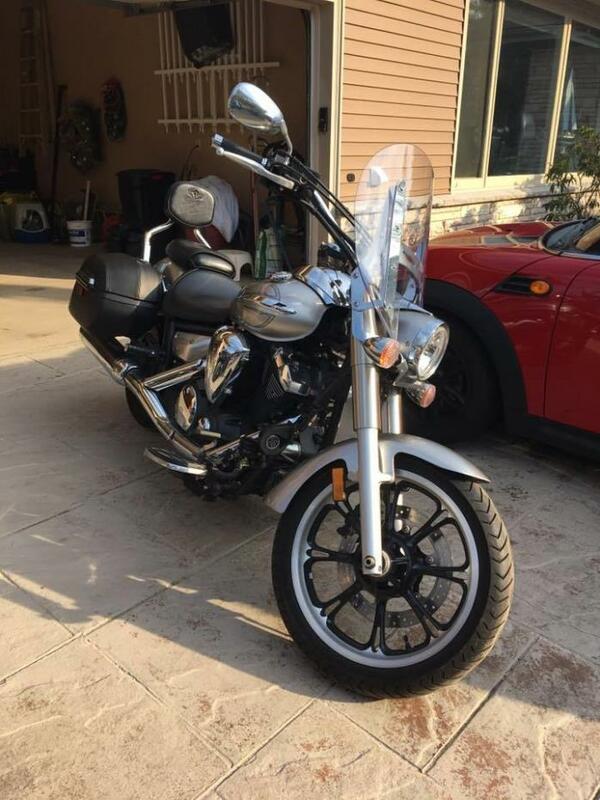 It comes with saddle bags, and a helmet if you want it to get you started.There's another 2005 VLX 600 on here with over 15,000 miles on it and he's asking 3,000. Buy this one instead.I took it in for an oil change and an inspection on 4/17/17 and it had a great report card. It's serviced at Cycles 128 in Beverly.I put new tires on it in April of last year and they have less than 700 miles on them. I'm selling to step up to a larger framed bike. I'm 6'3 and this is just too small for me. If you're under 6' or so you'll have no problems. 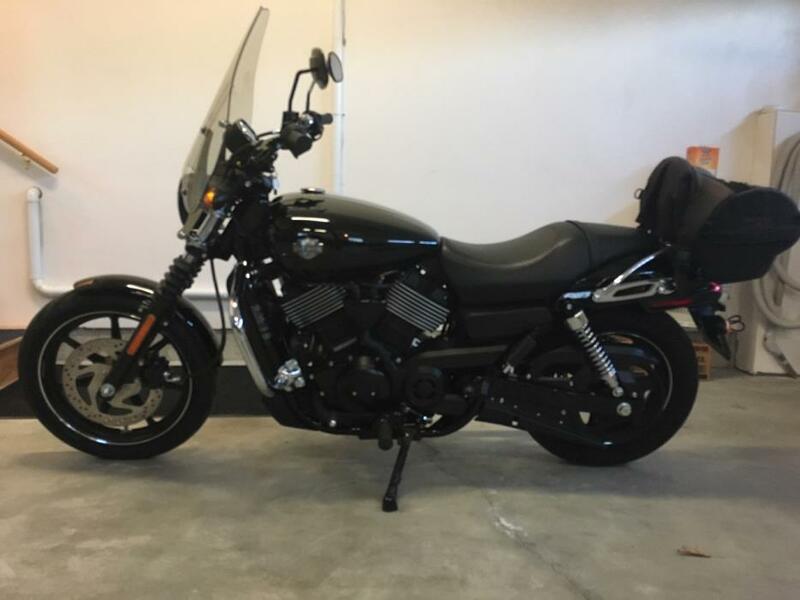 This is totally suitable for both men and women.If it is your first bike and you're trying to figure out how powerful of a motor you should get, I've been there. 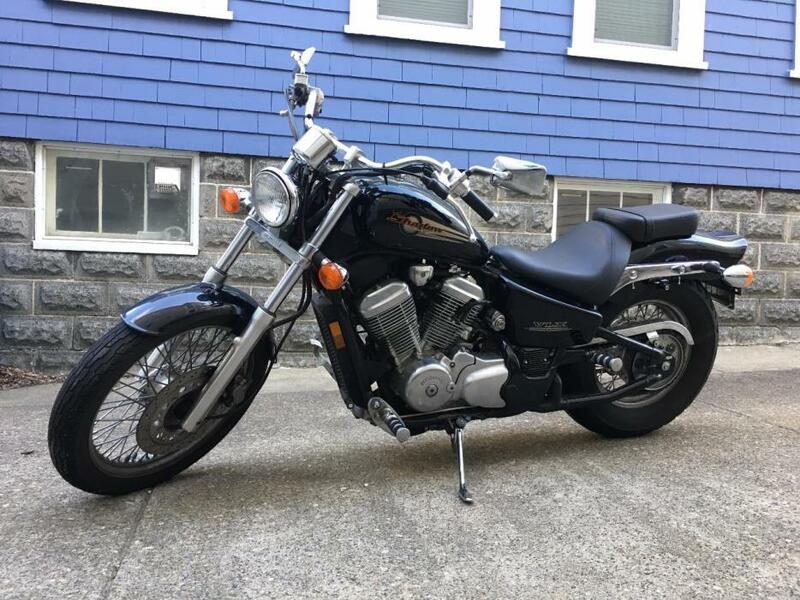 I bought this bike because it's plenty powerful where you're not bored, but it's not going to throw you off of it if you hit a pothole and accidentally rip on the throttle. It's responsive and easy to ride. 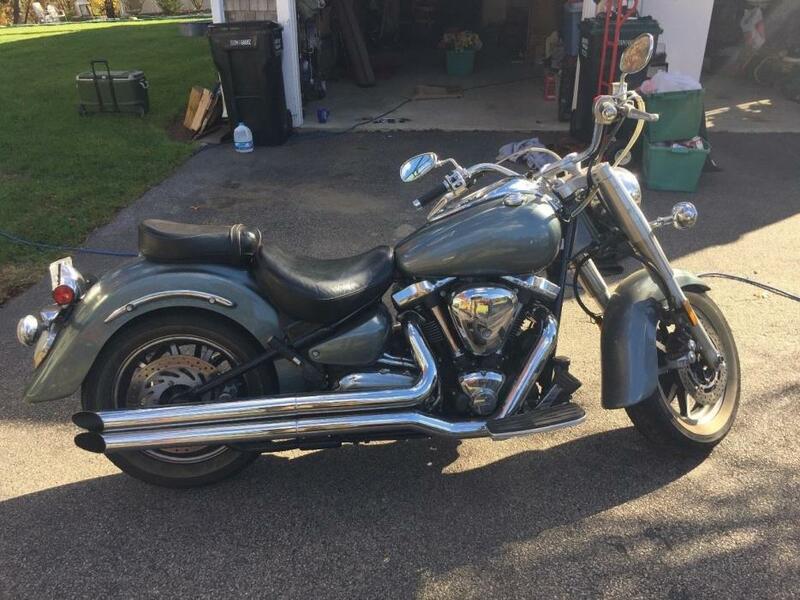 Even as a first time rider, I never felt out of control on the bike, and the weight distribution is really well done.The bike is covered at all times, and was in my heated basement over the winter with the battery on a tender. I took it out last week and it's been riding great. 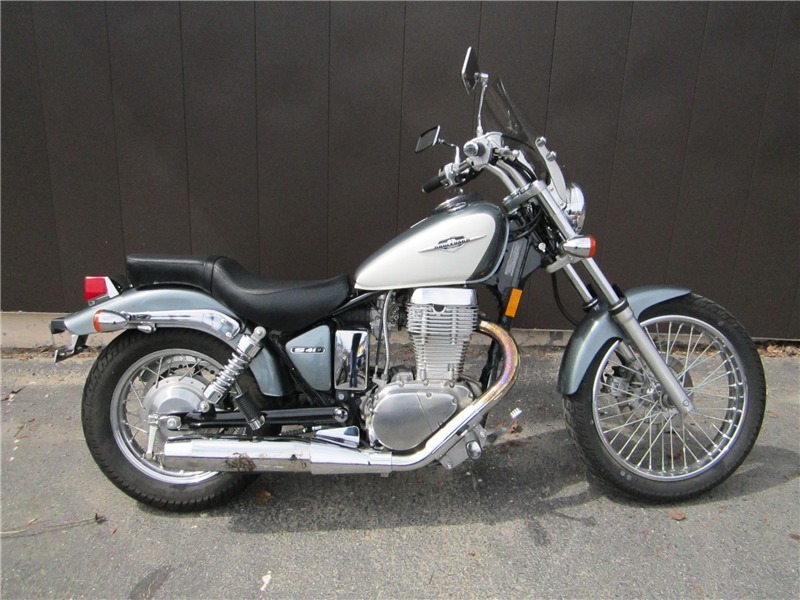 This bike will be great for you if you're:Looking for a reliable cruiserPrimarily riding around town and back roads (it does fine on the highway but tops out around 85)Buying your first bike and don't want to spend a ton on it or maintenance (oil changes are $30 at Cycles)This bike is well regarded by riders everywhere, so come to Beverly and experience it for yourself! 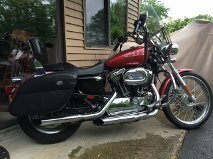 15k miles, Harley custom ghost flame blue, Vance Hines pipes, tuning module, fuel injected, new tires, lots of chrome, extra seat and cover. Born on the racetrack and raised on the street, the 2016 GSX-S1000F ABS is derived from the legendary, championship-winning 2005-2008 gen GSX-R1000. The new GSX-S lineup carries the spirit of the Suzuki GSX-R to the street, with shared technology and components packaged into a chassis designed specifically for street riding comfort.It’s more than just an attitude, a spirit, or a lineage though; it’s about performance-packed hard parts evolving from one generation to the next. The GSX-S1000F ABS is powered by a 999cc inline four-cylinder powerplant that’s based on the long-stroke GSX-R1000 engine, which makes for ideal street-riding power and torque curve. 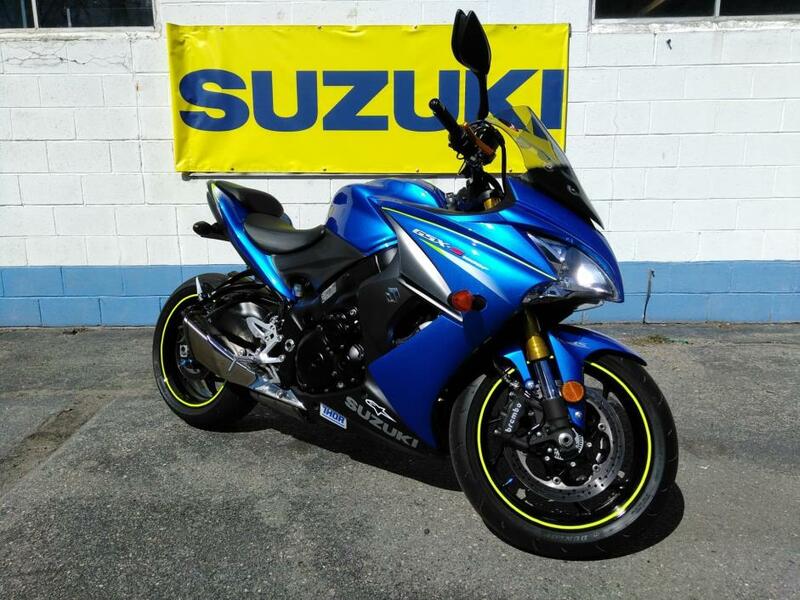 Focused on making big power through the low and mid-range, this engine also uses cams optimized to deliver street-dominating power.Equipped with a powerful engine, Suzuki’s Advanced Traction Control System*, and Brembo brakes with Antilock Brake System*, the 2016 GSX-S1000F ABS is a street bike packed with some serious performance. Top that performance off with wild, rugged, and aggressive styling, and you have a roadster ready turn heads and own the street.With the GSX-S1000F ABS, Suzuki changes motorcycling for the better, again. *The Traction Control System is not a substitute for the rider’s throttle control. It cannot prevent loss of traction due to excessive speed when the rider enters a turn and/or applies the brakes. Neither can it prevent the front wheel from losing grip. *Depending on road surface conditions, such as wet, loose, or uneven roads, braking distance for an ABS-equipped vehicle may be longer than for a vehicle not equipped with ABS. ABS cannot prevent wheel skidding caused by braking while cornering. Please drive carefully and do not overly rely on ABS.Get a grip on a whole new standard. Striking looks. Comfort. Power. Versatility. Our standards deliver easy ergonomics, modern style, and metro muscle in dynamite packages. Whatever type of riding you prefer, our standards can handle it. The CBR500R is the sporty member of that family, with bodywork inspired by our CBR600RR and CBR1000RR Supersports. Plus, for 2016, it’s full of improvements, keeping it even further out front. A new muffler both improves mass centralization and sounds even cooler. You get improved gear-shift feel, along with a new adjustable brake lever, and a hinged fuel cap for added convenience. And then there’s that spectacular twin-cylinder engine: displacing 471cc, it delivers smooth power from idle to redline. 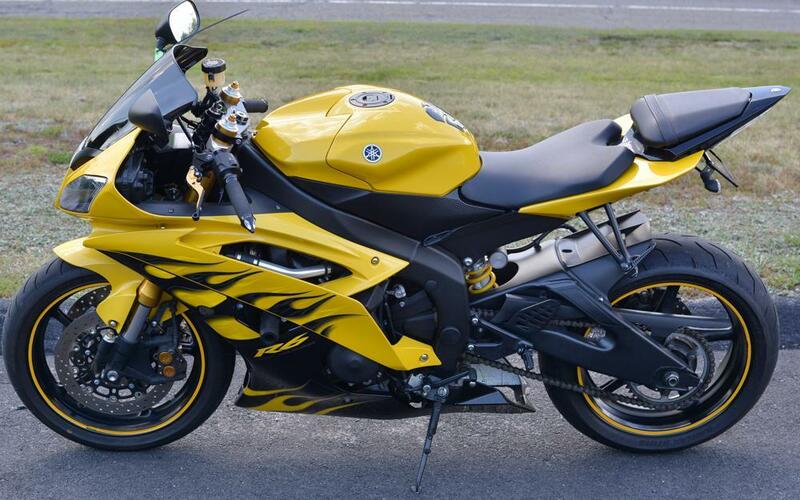 Twins offer notoriously broad powerbands, and the CBR500R is no exception.Chassis? Tuned especially for sport riding, the steel-tube frame and Honda Pro-Link® rear suspension let you carve corners with confidence, now featuring adjustable fork preload and new shock settings. 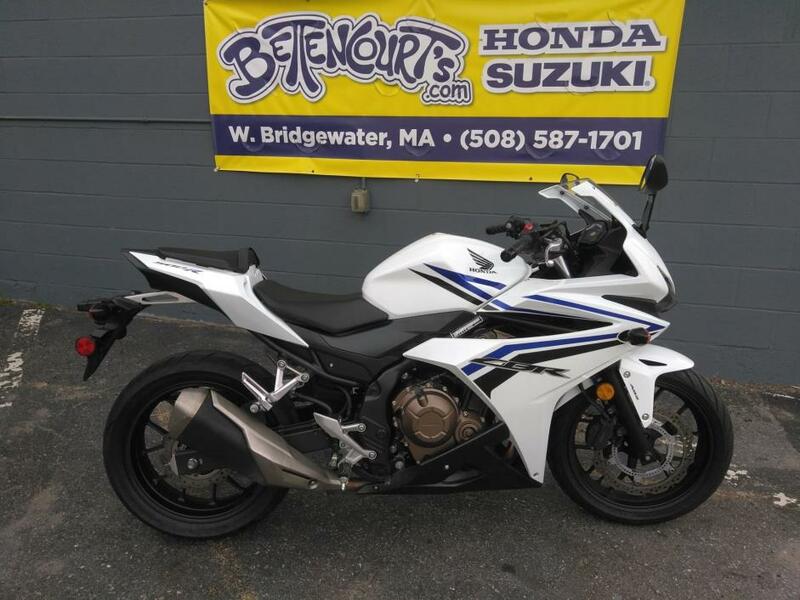 And the available triple-disc anti-lock brakes feature a new adjustable brake lever this year.A perfect choice for new riders, returning riders, or anyone who appreciates a great do-it-all streetbike, the CBR500R is also an affordable choice. Best of all, it’s a bike you won’t outgrow for a long, long time - if ever.